Read on for our round-up and comparison of the best Garden Route and Eastern Cape Private Reserves. 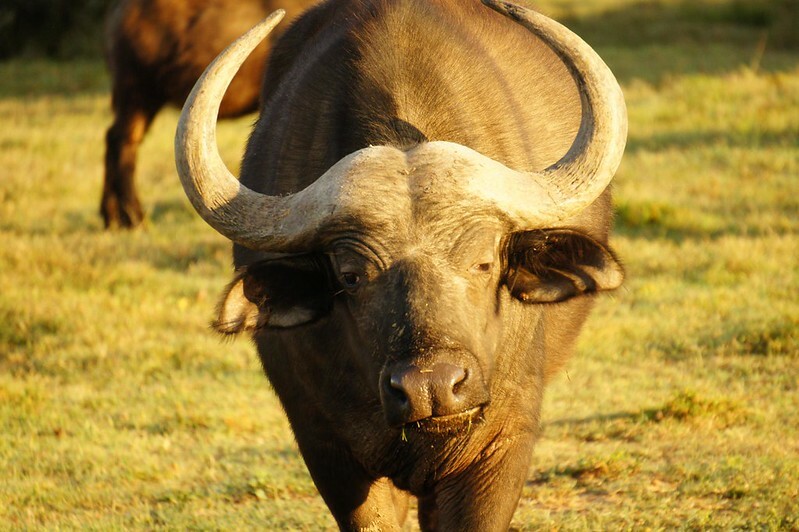 There are a growing range of quality safari options in the Eastern Cape and Garden Route area. 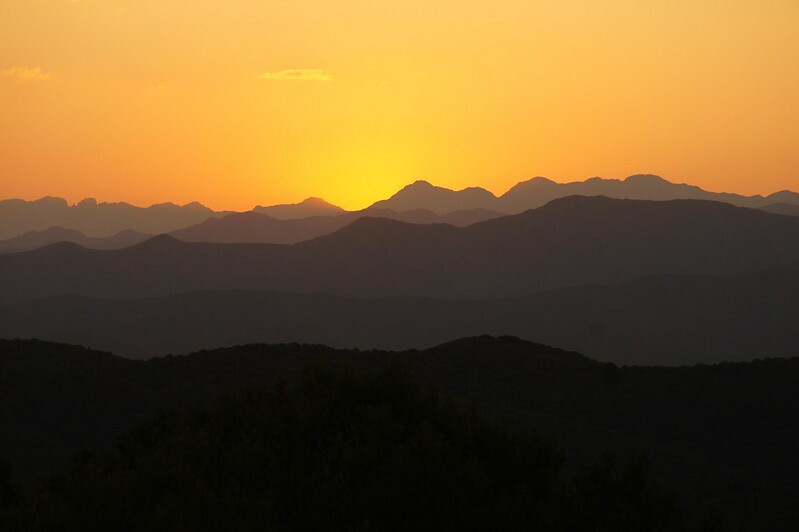 Although certainly not as wild or expansive as Kruger, the location is convenient, the mountain and fynbos landscapes frequently beautiful and the wildlife plentiful. The region is perfect for a first time safari or for families with children who want a malaria free safari. 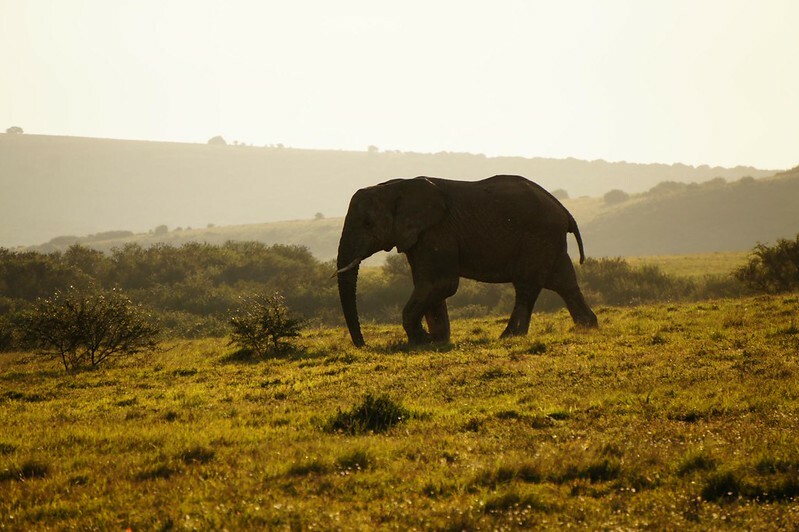 The big National Park is the ever-growing Addo National Park which is noted in particular for its large herds of elephant, however most safaris take place on private conservancies. What you are not going to get is that feeling of complete wilderness that you get in some of the best safari location in Southern and Eastern Africa, but don’t let that hold you back. For first time safari-goers or families with children, the region offers some fantastic experiences. The reserves don’t tend to be massive, so we usually recommend a two night stay at the end of a Cape Town and Garden Route itinerary. The overall quality of the private reserves in this area is very high. In the search for the best family safari option in the Cape area, we have stayed at Gondwana and Botlierskop (near Mossel Bay), Buffelsdrift (Oudtshoorn), Riverbend Lodge (Addo), Amakhala Reserve (Eastern Cape) and Kariega and can honestly recommend a visit to any of these. There are pros and cons to each, but if you haven’t been on safari before, then I would honestly be surprised if you weren’t blown away by the experience at any of them. 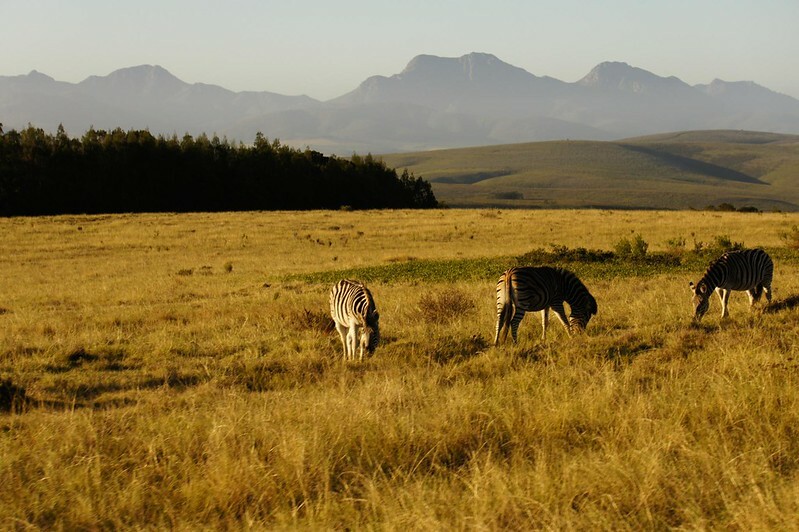 Gondwana Game Reserve is situated on a beautiful stretch inland from Mossel Bay in the heart of the Garden Route. The scenery here really is breath-taking and the wildlife is superb. Within a 24 hour stay we saw cheetah, giraffe and a pride of lion feasting on a freshly killed Eland. Accommodation is very well appointed and the adult only Kwena Lodge huts (modelled on traditional Khoi-San dwellings) are first class. 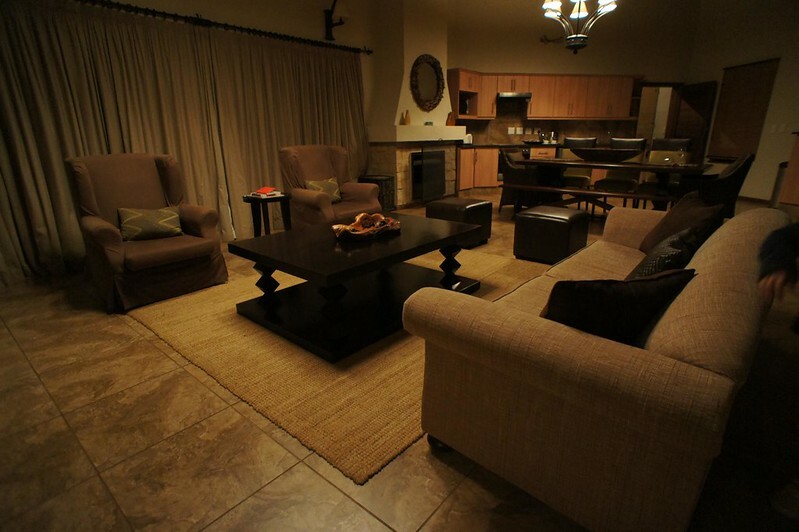 Families are accommodated in bush villas, these are ostensibly luxury villas plonked in the middle of a game reserve. They are incredibly well appointed, but the lavish interiors don’t necessarily chime with the environment. Another consideration is that young children aren’t allowed to eat in the main lodge restaurant so evening meals are served in the villas (you can also self-cater or braai on the veranda). This can be an advantage, but also has the potential to leave you feeling a little left out on a limb. Gondwana is managed by a large corporate and somehow that does come across in the service when compared to the mostly owner managed reserves elsewhere in the region. On game drives, we spent a lot of time chasing around the bush after lions and would have preferred a more rounded experience. This is particularly important for families, children will be just as interested in the small game as the lions. Of course, you shouldn’t judge a place on one experience, but other reviews on Tripadvisor do correlate to some extent. The interior of the family villas. Luxurious, but not exactly in keeping with the bush setting. 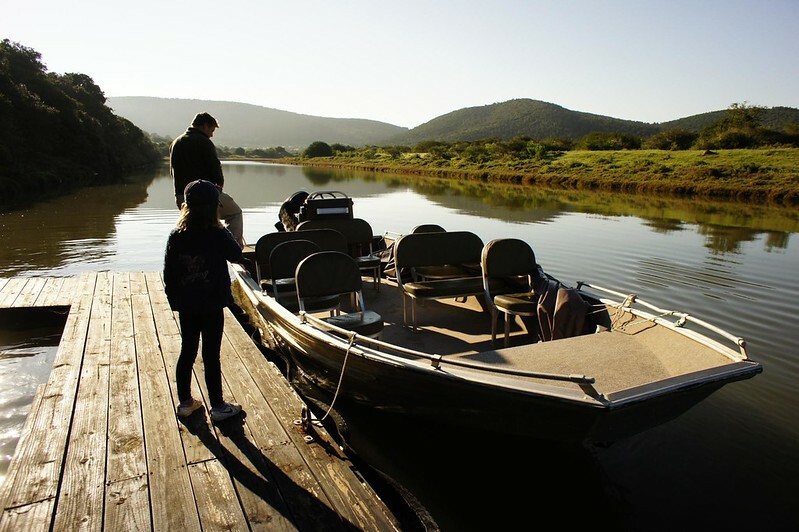 The family owned Botlierskop Private Game Reserve is one of the smallest reserves in the Garden Route and Eastern Cape, but makes up for its diminutive size with great service and family friendly activities. We loved the safari style accommodation in the thick of the bush and were genuinely startled and thrilled when confronted by the shining eyes of a nyala gleaming out of the darkness on our walk back to the tent to one night. 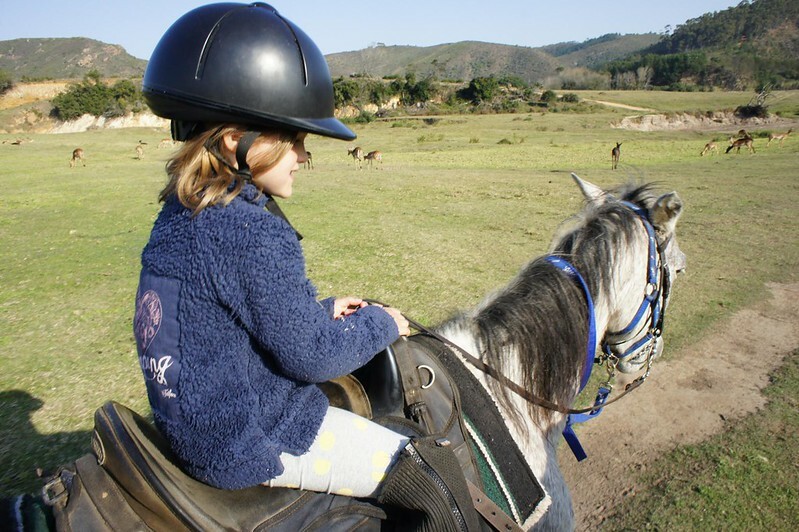 There is an excellent range of activities available and Botlierskop is particularly well suited to families. We took a morning horse ride amongst among rhino and plains wildlife which was absolutely unforgettable and comes highly recommended (suitable for beginners or experienced riders). The disadvantages of Botlierskop are two-fold, firstly the land feels the least wild of all the options discussed here with electricity pylons over-head and neighbouring villages and farms clearly visible from view-points. Secondly, the predators (lions) are kept segregated from the other wildlife which although understandable from the point of view of conservation on a 3000ha plot, does diminish the experience a little. It is understandable, but having the lions in a separate section of the reserve is a disadvantage. The big reason to visit though, especially for families, is the range of activities on offer, including horse rides through the reserve. Buffelsdrift is full of surprises. On the face of it, the entrance just 5 minutes drive outside of Oudtshoorn feels more like a visitor attraction than a private reserve, but hidden within is a beautiful land-scape. Lavishly appointed safari tents are located on the shore of the lake and we were woken during our stay by the sound of hippos literally metres outside. We were also pleasantly surprised by the quality of guiding with a refreshing focus on all the wildlife not just the big animals - the 6 year old loved learning about (and nibbling) the wild plants. 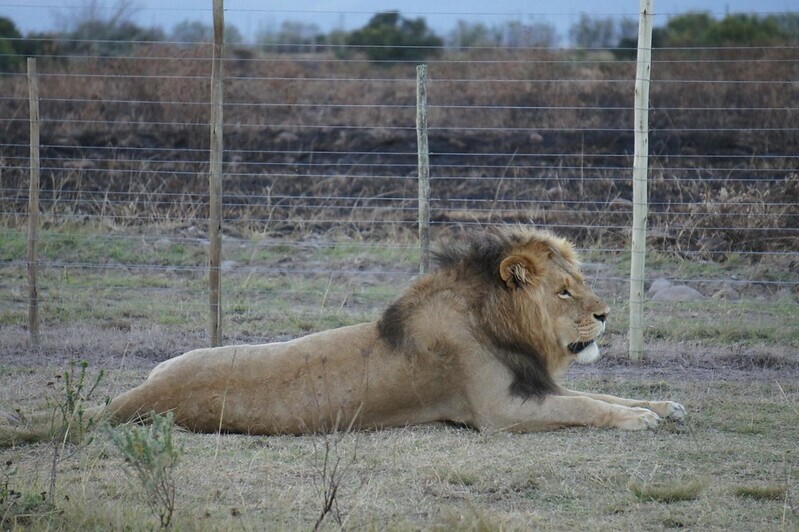 Currently there are no lions on the reserve, but plans are afoot to acquire neighbouring land and introduce predators. 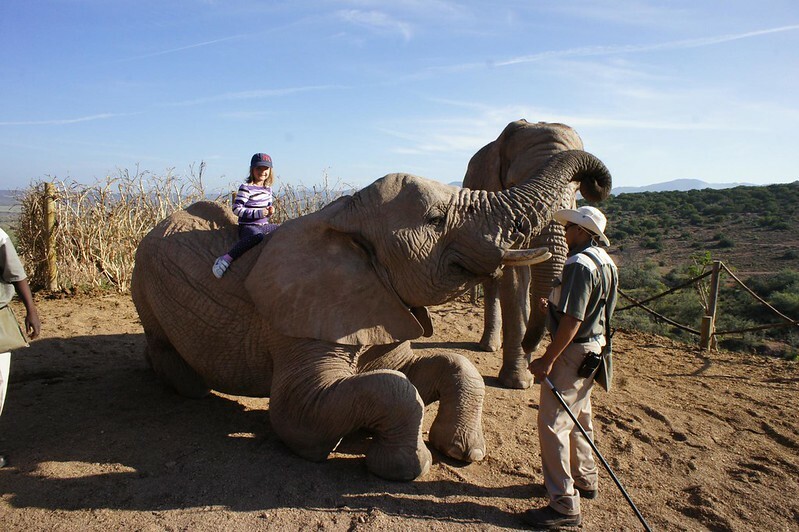 Buffelsdrift is very proud of its elephant experiences which allow you to get up front and very personal with their tame elephants. Children and adults who are confident with animals will love it. 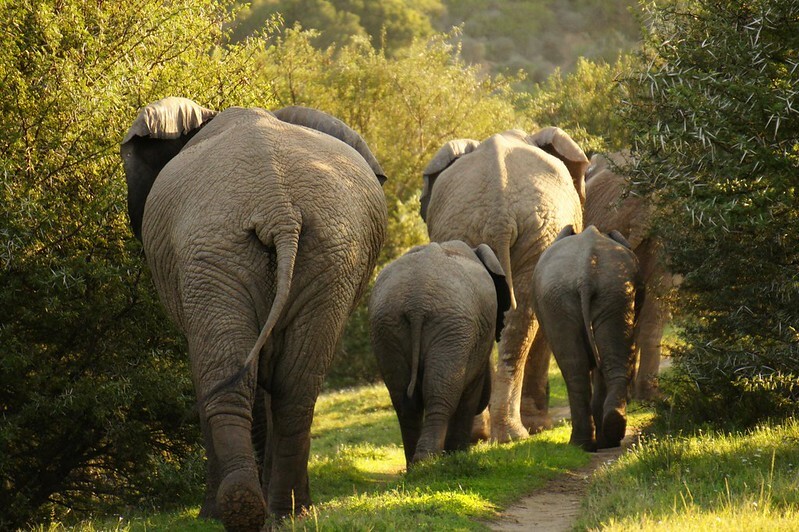 For me it lacks the sense of wilderness you get in the best reserves, but given its location, good value and the tents on the lake, it is arguably the best choice for a family looking to drop a short and relatively inexpensive safari experience into a Garden Route holiday. 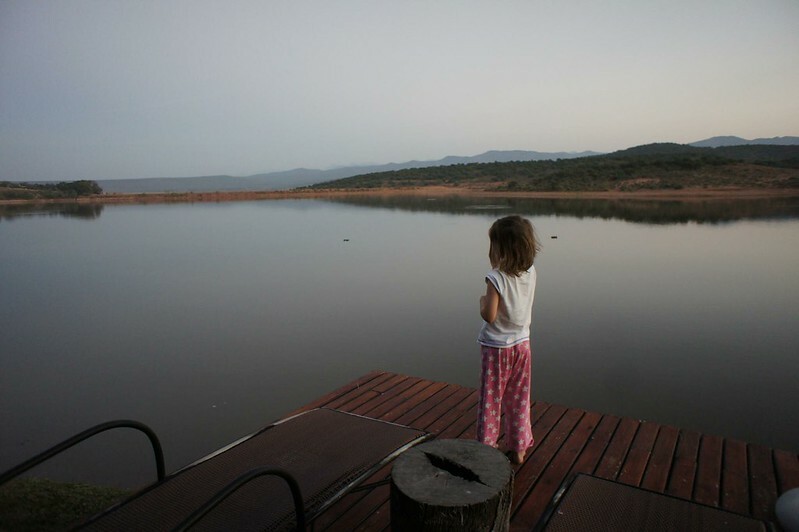 06.30hrs @ Buffelsdrift: 6 year old emerges from bed and goes to take a look at the hippos that have just woken her. Hard to argue with that. The Elephant Experience is much lauded, but it isn't for everyone (look closely at her face). Sightings of Giraffe, Rhino, Hippo numerous plains species are common, but there are currently no predators on the Buffelsdirft reserve. 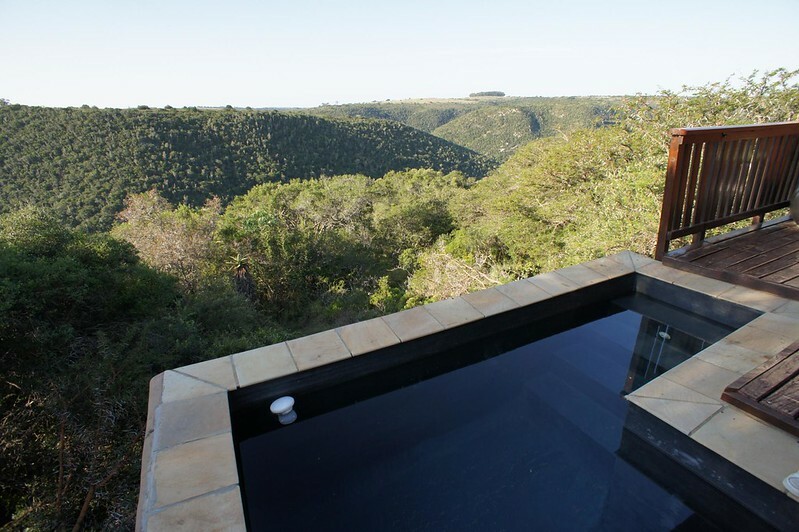 Amakhala Private Reserve in the Eastern Cape is set in a beautiful valley with excellent wildlife and accommodation options at reasonable value compared to its more illustrious neighbour Shamwara. It has an industry leading attitude to conservation and supporting local communities and a nice selection of small individually owned camps and lodges. Our attention is naturally drawn to the small camps in Amakhala which offer a superb balance of safari ambience and value. 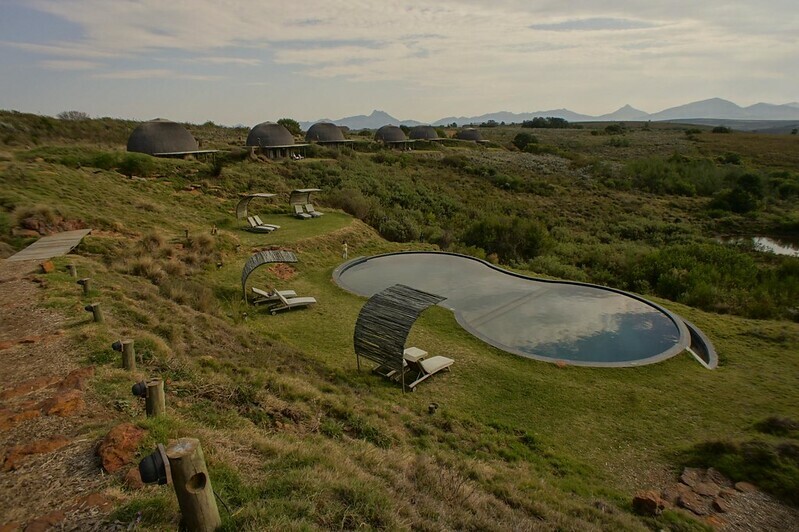 Hillsnek is a simply gorgeous small camp set on a bluff overlooking the main section of Amakhala reserve. This is one of those places where everything comes together just so, with fresh contemporary and inviting décor and a wonderfully relaxed ambience. There are just three tents and the main pool / dining area all wrapped around the incredible wall-to-wall views. Quatermains is a small and intimate colonial expedition style camp which means paired down furnishings, crisp white canvas and a simple firelight and candle ambience. There is no electricity at night - all lighting is provided by paraffin lamps. 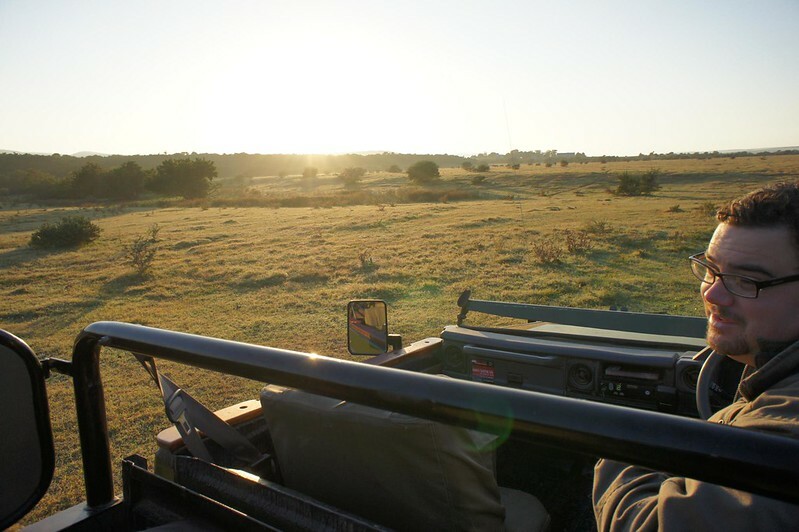 Owners, Riaan and Julie Brand host at camp, are very experienced safari guides and have an exclusive arrangement to access both Shamwari and Amakhala reserves on game drives, which is a huge plus. Also unlike most other safari options in the area, it is possible to enjoy guided bush walks, which is a fantastic way to get a feel for the environment and of course stretch your legs a little. Quatermains is ostensibly for over 12s only but offers fantastic value for larger families (of five or more people) who can take place in exclusivity and in which case no age limits apply. Looking for souvenirs. Hillsnek provide a children's pack including an egg box for a poo safari. 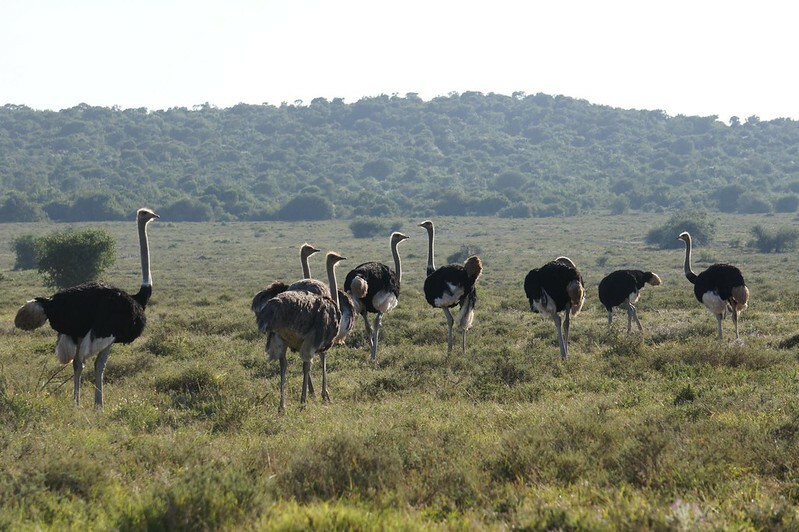 A slightly larger more commercial operation than many of the others discussed here, Kariega is nevertheless a very good option with fantastic wildlife. 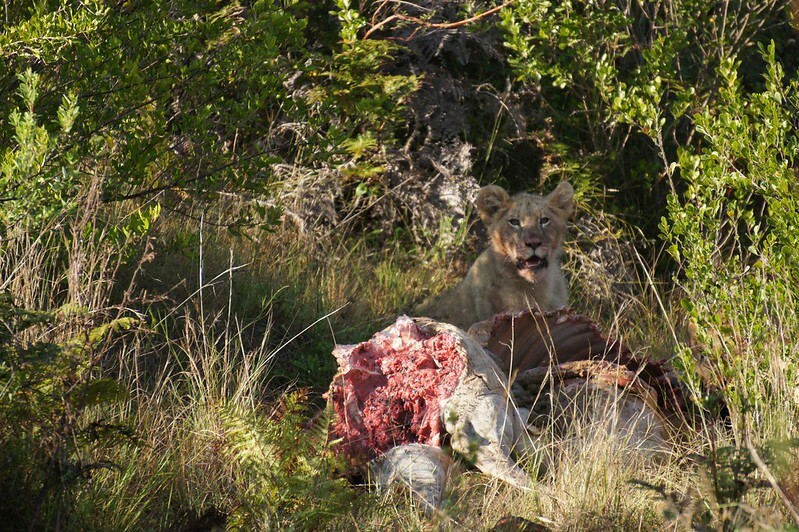 Over two game drives we saw lions on three separate occasions and were very lucky to see one hunt and kill a bush pig. The guides are excellent and very enthusiastic. There is a choice of accommodation available, and the quality does vary. The River Lodge is superb (couples only), but accommodation in the main lodge and Ukhozi Lodge is a little dated in the interiors. Having said that who is going to complain about that when you have a deck with private plunge pool overlooking a stunning valley? The landscapes are beautiful and wild, but are let down slightly by the public road running through the reserve. For families, the advantages of staying somewhere like Kariega is that the slightly less intimate atmosphere will probably mean you can relax more and worry less about noise levels. 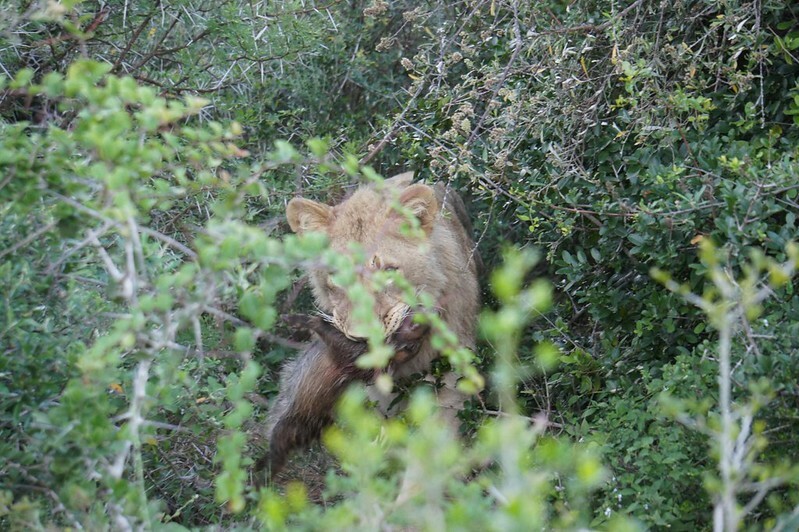 We got lucky and saw a lion kill a bush pig, it was all over in seconds. 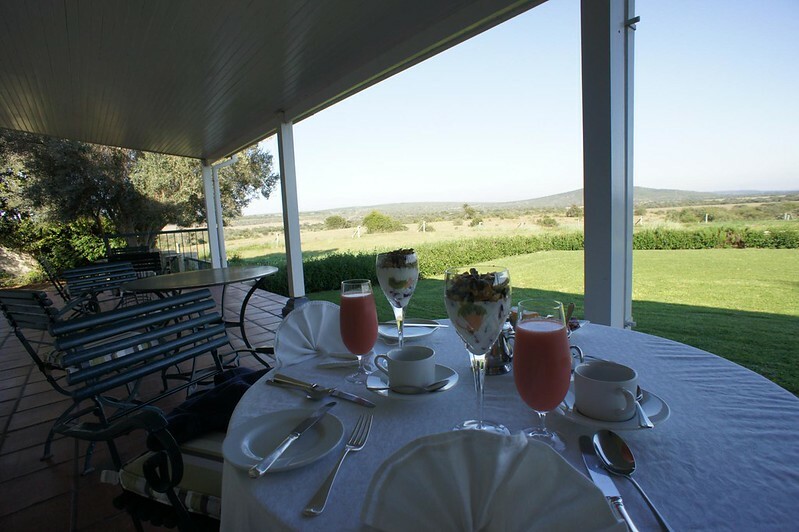 Riverbend Lodge is situated on a private concession within Addo National Park. It is probably the most expensive option in this round-up and is almost certainly the highest quality on offer. The plot of land is gorgeous, taking pride of place in Addo where the park meets the Zuurberg Mountains. 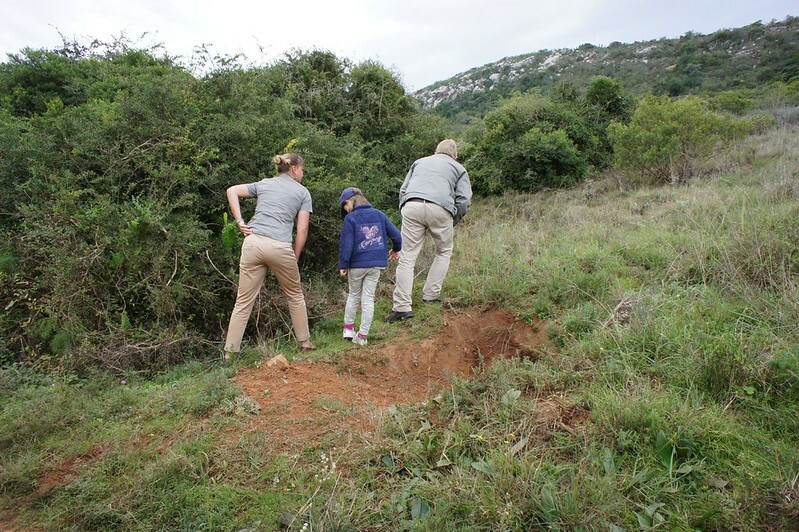 The quality of guiding was the best we have experienced in the Eastern Cape and the level of service is incredibly personal. 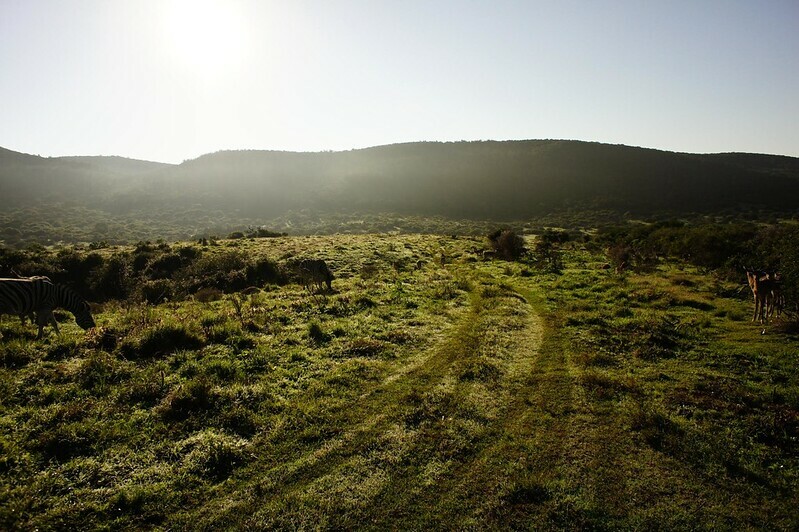 Being part of Addo, the game can be less concentrated than in some of the other private reserves, but that only lends it a greater authenticity and sense of wilderness. The lodge itself is a very high end colonial farm-stead. River Bend goes to great lengths to accommodate families and comes highly recommended by my 6 year old. There are kid’s menus and dedicated children’s activities on offer, but it is really simply the quality of the guides and staff that makes this place so welcoming for families. It is worth noting that there is a separate farm-stead available for rental for larger family groups. River Bend Lodge is a high quality lodge with superb guides, expect a very personal experience. Breakfast with herds of Addo elephants wandering by, and yes the granola was the best I have ever tasted. 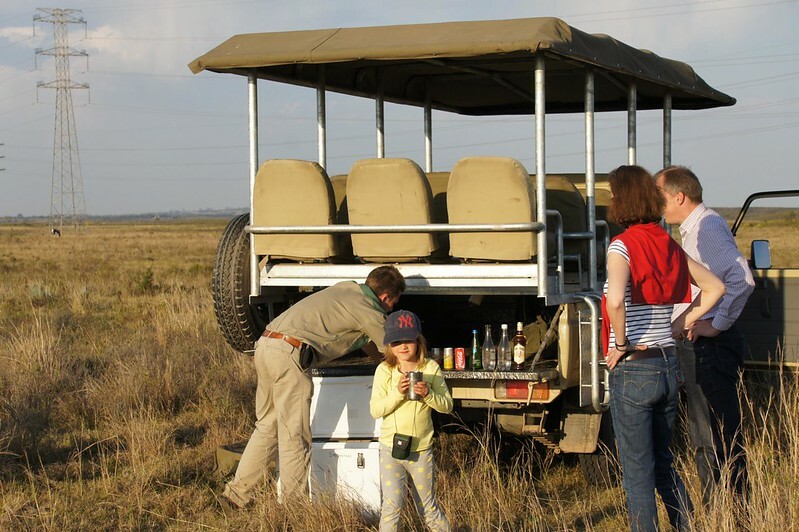 Honestly speaking, a first time safari goer can’t go wrong with any of these options. 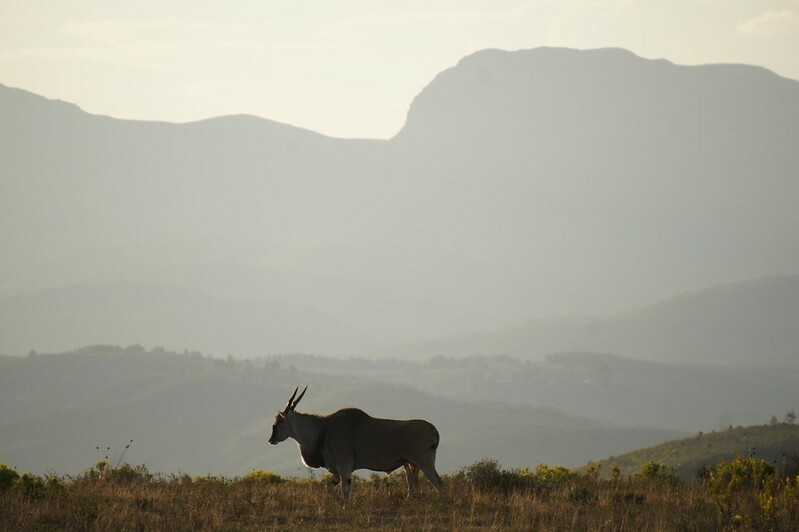 When planning itineraries for clients we tend to opt for the Eastern Cape Reserves, simply because it makes more sense in the overall balance of things to finish your trip with a safari. Overall, a couple of places stand head and shoulders above for their ambience, intimacy and value, including Amakhala Hillsnek (easily the best appointed camp in the area), Amakhala Quatermain’s (pared back safari camping with access to Amakhala and Shamwara reserve) and Riverbend Lodge. Having said that, Buffelsdrift in Oudtshoorn, Gondwana & Botlierskop near Mossel Bay and Sanbona near Montague are all good options if you are flying in and out of Cape Town and not making it as far East as Port Elizabeth. 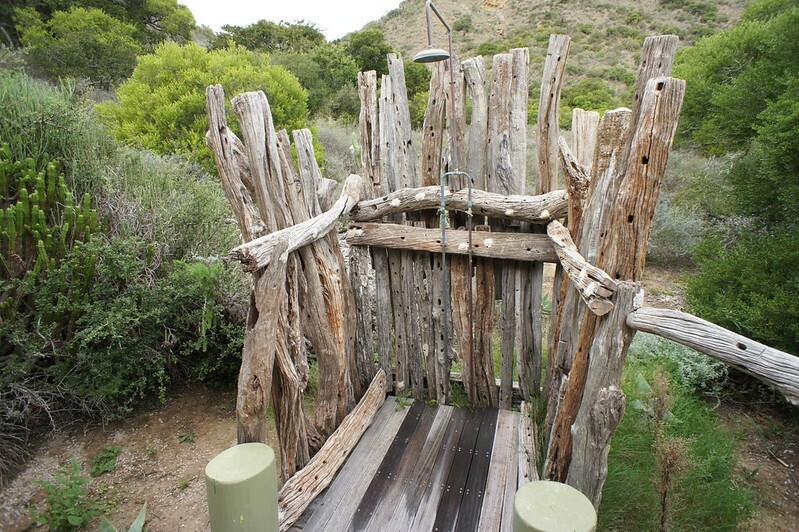 If budget is tight, then the combination of staying in Camp Figtree with forays into Addo National Park is a good one. 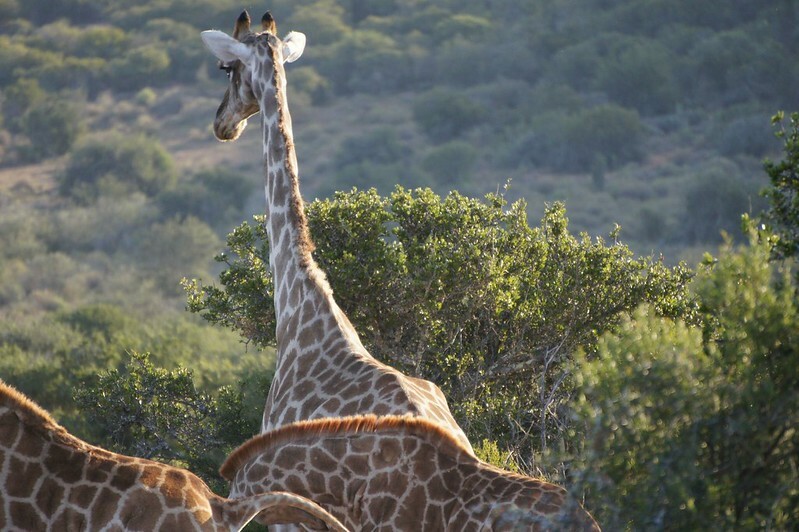 Staying in Addo Rest Camp itself will be even cheaper, the accommodation is so-so but is amidst the wildlife (it is not unusual to see giraffe and elephant from your cabins), it can be a little over-run and it is unlikely you will get that safari ambience. Like-wise out of peak, a one day stay at any of the Garden Route reserves is a good option.